"A shadow from the past, the Ghost Tower of Inverness has loomed ever larger in the mind of the great Seer of Urnst. Now he has convinced the Duke that an expedition should be organized to go to the ancient keep and recover its greatest treasure - the fabled Soul Gem. " Its been a long time since I've dusted off my copy of C2 The Ghost Tower of Inverness By Allan Hammack & this module has turned a lot of characters of mine into potato salad. And yes its one of the infamous fun house dungeons & yes I've talked about it before.There are several reasons why C2 has come back up on my radar kids. 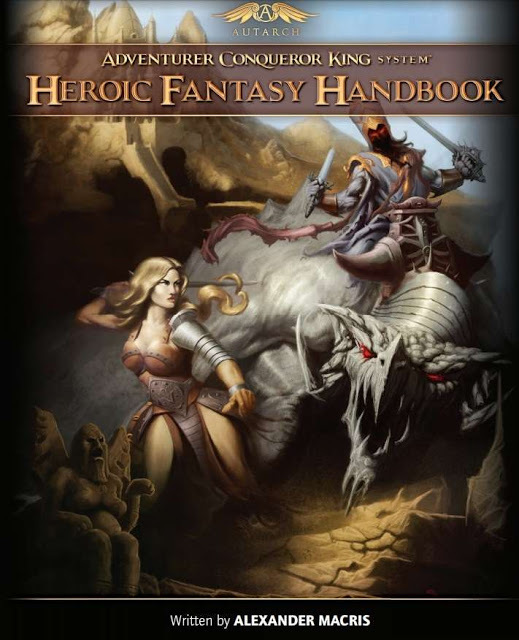 The backer copies of ACK's Heroic Handbook have gone out tonight & yes I did a review of that tome. But I've been doing a lot of reading of Clark Ashton Smith again in the meantime & I've got some thoughts about the tower. Gut the whole the adventurers are prisoners & going dungeoneering because their going to get their sentence commuted bit. Players hate the all aboard the magic rail road bit. Instead go read the Clark Ashton Smith all powerful sorcerer Maal Dweb cylce of stories because he's exactly the sort of demi god as wizard character whose going to be behind the tower. The sort of occult technologies in this module is just the sort of high magical work that we see in the same style as Maal Dweb. The Maze of Maal Dweb, (1938) contains many of the same elements that C2 contains & these elements get expanded upon in the second story The Flower-Women, (1935). What does this have to do with "The Heroic Fantasy Handbook"? Quite a bit actually. 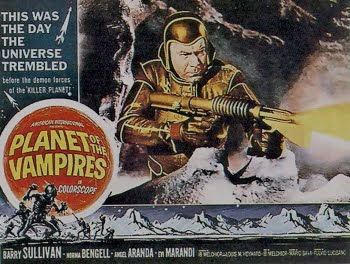 Parts of the interior plot, elements, etc. are going to have to be altered but the devil as they say is in the details. C2 The Ghost Tower of Inverness is a structure that has stood since before recorded time. This means that the players are going to be stumbling into deep & high magic here. The tower & its artifact are way too good to pass up as a possible base of operations. 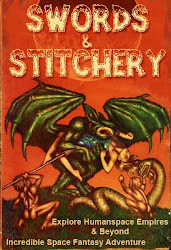 The mix of Sword & Sorcery & high fantasy. There are in fact several resources within the tower that make it far too valuable to have a lich or another arch wizard take it over after the PC's clear it out. 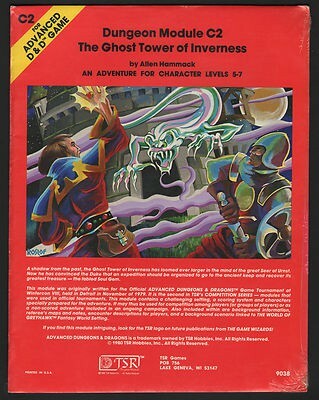 C2 The Ghost Tower of Inverness has tons of potential as a potential strong point or adventurer's fortress. The guidelines for maintaining the place are build right into ACK & Heroic Fantasy Handbook. The soul stone artifact's powers are going to have to be changed & altered. Possibly more sinister or arcane based as the campaign calls for. Monsters may need to be altered to fit closer to the Adventurer, Conqueror, King ideal & perhaps several beasts from ACK's Lairs & Encounters might be good stand ins. Rail road encounters are going to have to be drastically altered to fit into making not only a challenge but a fully realized winnable situation. Gut background & placement as needed for your own home world. 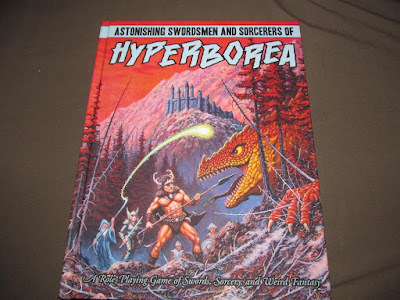 Now I'm going to flip C2 The Ghost Tower of Inverness right over to Hyperborea with Astonishing Swordsmen & Sorcerers of Hyperborea second edition. The fact is that this module would make an excellent abandoned pleasure house for a wizard after the Green Plague has ravaged the world. Placement for this little gem is right on a nearby island off of Port Zangerios! The pirates have been trying for centuries to get into the ruins & the tower. Soul gem is actually the resting place for a dying god secreted there when Hyperborea went to the Great Old Ones. 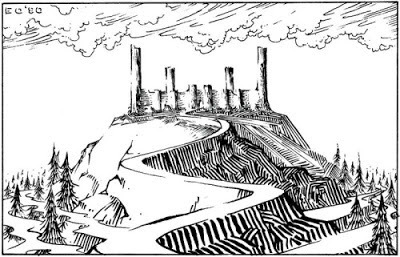 Again C2 is definitely too valuable of a location to allow it to fall into the hands of one of the myriad horrors of Hyperborea. Several of the portals in the tower might even lead into Underborea. Then there's the fact that C2 The Ghost Tower of Inverness By Allan Hammack could be used to run an adjunct to the Lion & Dragon retroclone with a bit of adaption on the DM's part. 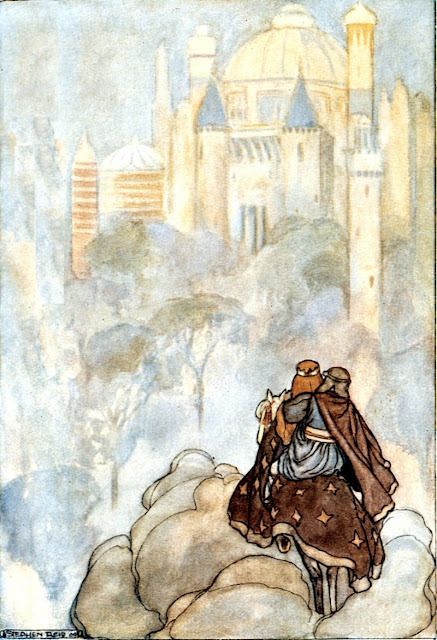 The tower & its environs are the perfect location to come back from the depths of the Celtic other world. The place was used by a fairy lord for his amusement by torturing its prisoners in a wide variety of amusing & various ways. But now its returned from the depths of Fairyland its placement off the coast of England possibly near edge of lost Lyonesse especially dangerous & its artifacts very precious!